Visit the most wonderful lake of the Latin America and assorted as one of the wonders of the world. Minimum of 2 passengers (adults) is required for the tour to run. Your tour will begin with a pick up at your hotel in Antigua Guatemala. We will take road to The Western Highlands region, home to quaint and colorful mountain villages, highland lakes, pine forests, and the majority of Guatemala’s indigenous people. This is the region most travelers familiar with Guatemala think about when daydreaming of a trip to this beautiful country. 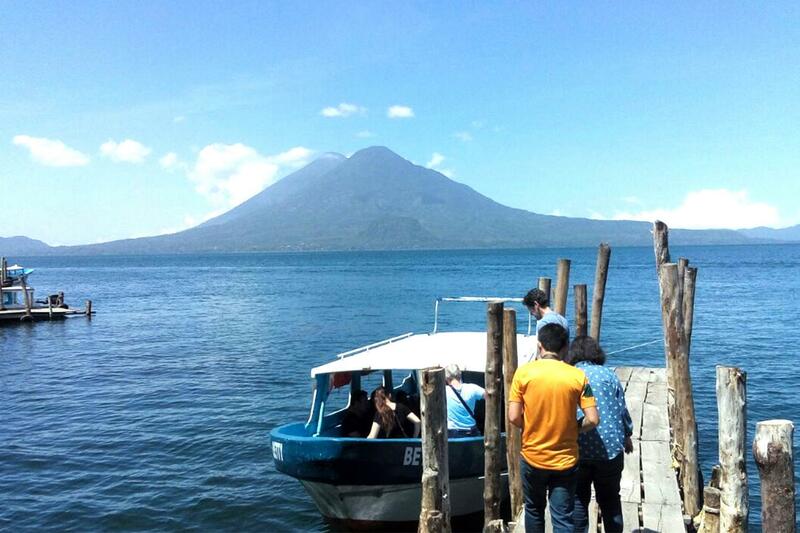 Upon arrival to Panajachel we will take a public boat to cross Lake Atitlan and visit Santiago Atitlan, where you’ll learn of the local Saint "Maximon". Enjoy the vibrant colors and local flavor of this village. Explore the village of Panajachel is a pre-Columbian town of Kakchiquel origin, settled next to the river with the same name and on the lakeside of Atitlán. The town witnessed the final battle between Spaniards and their Kakchiquel allies against the Tzujiles and it also was a settlement point for the Franciscan missionaries who founded a convent nearby.